Concerned you have been the victim of age discrimination in Florida? Were you recently demoted or terminated for reasons that may have to do with your age? Or did you apply for a job recently, and do you suspect that the company decided not to hire you because of your age? You may be able to file a claim under either federal or state law. In Florida, employees (and job applicants) are protected by the Florida Civil Rights Act (Florida Statutes Section 760.10) and the Age Discrimination in Employment Act of 1967 (ADEA). What do you need to know about each of these laws? And what else should you know about unlawful age discrimination in employment more generally? 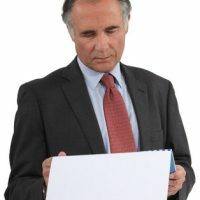 Employer, employment agency, labor organization, and other related entities cannot publish or print notices or advertisements for employment that discriminate on the basis of age. The state law does make clear that, when there is a “bona fide occupational qualification reasonably necessary for the performance of the particular employment,” and discriminatory action based on age is related to that bona fide occupational qualification, then the discrimination is not unlawful. There are similarities and differences between the Florida Civil Rights Act’s protections against age discrimination and those in the ADEA. The ADEA specifically protects individuals aged 40 and older from employment discrimination based on age. The ADEA applies to employers that have 20 or more employees, and it applies to the federal government, to employers that are part of state and local governments, and to private employers. Similar in many ways to the protections within the Florida Civil Rights Act, the ADEA also applies to employment agencies and labor organizations. Denying benefits to older employees. In some cases, an employee may waive his or her ADEA rights (e.g., in the event of a settlement). However, the ADEA sets out very specific requirements for an ADEA waiver to ensure that the employee understands the waiver and is entering into it voluntarily. If you faced adverse action at your job because of your age, you may be able to file a claim under the Florida Civil Rights Act or the ADEA. A West Palm Beach employment discrimination lawyer can discuss the differences in state and federal law, and can help you decide which option is best for you. Contact Scott • Wagner and Associates today to get started on your claim.